Burundi, despite being potentially self-sufficient in food, has the highest level of hunger of all the 79 countries listed in the 2012 Global Hunger Index, published earlier this month by the International Food Policy Research Institute (IFPRI), Welthungerhilfe, and Concern Worldwide. 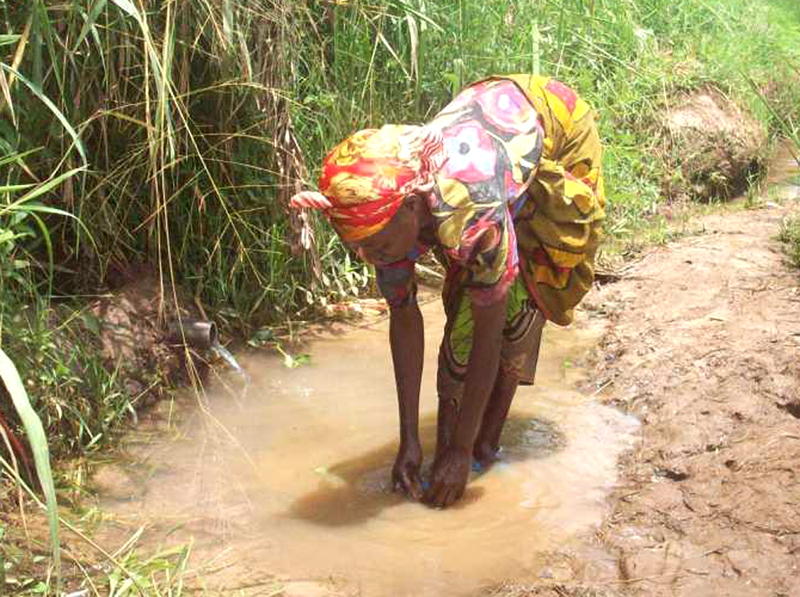 In August 2012, three of the eight “livelihood zones” in Burundi - around 200,000 people - were found to be at a “crisis” level of food security, or Phase 3 in the Integrated Food Security Phase Classification scale. This was variously due to recurrent drought, plant disease, poverty, lack of drinking water and land scarcity. Most of the rest of the country is in Phase 2 - also classified as “stressed” - with a risk of falling into Phase 3 “at the slightest shock”, such as flooding or hailstorms, according to Isaac Nzitunga of the Ministry of Agriculture. In the current trimester, the country faces a 57,000-ton cereal deficit, even when imports and food aid are taken into account, Nzitunga told IRIN. More than 60 percent of the population in the tiny, densely populated central African state, one still recovering from a 1993-2005 civil war which killed some 300,000 people and uprooted more than a million others, is at risk of food insecurity. Some 58 percent of children are chronically malnourished, which means their physical and intellectual development is seriously threatened. About 90 percent of Burundi’s population is engaged in subsistence agriculture, with the main staples being beans, bananas, cassava, sweet potatoes, maize, sorghum and rice. Only around 15 percent of production is sold. Primary export crops are coffee, tea and cotton. Here is a roundup of some key issues in improving the country’s food security. Burundi’s population stands at around 8.5 million and is growing at rate of some 3 percent a year. The average population density is 257 people per sqkm - one of the highest levels in the world - and in some areas this density tops 500 people per sqkm. If this growth is unchecked, Burundi’s population will double in 22 years. As part of its “Vision 2025” programme, the government plans to address this with a nationwide family planning initiative. It is not uncommon for families to have six, seven or even eight children. The average plot size is less than half a hectare, with many households eking a living from a quarter hectare plot. Plot sizes reduce as the population grows because of inheritance traditions, and because the government response to land disputes between returning refugees - half a million have come back over the last decade - and those who remained in Burundi during the civil war and earlier waves of violence, has been to simply divide plots between the two parties. Given that average plot sizes cannot increase unless a substantial portion of the population leaves the agricultural sector, one way for farmers to offset the constraints of shrinking plots and benefit from economies of scale is to form producer cooperatives. This would increase the scope for growing marketable surpluses and facilitate trading links with buyers reluctant to deal with a large number of very small-scale farmers. Since war broke out in 1993, average per capita agricultural production has more than halved. This is due to the conflict, crop theft, recurrent drought and torrential rains, pests, deteriorating soil conditions and over-exploitation. Consolidating sustainable peace, improving soil conditions through greater use of fertilizer and acidity correctives, introducing disease-resistant crop varieties, better managing abundant water resources, as well as improving seeds, tools and farming techniques, all offer considerable potential to increase yields beyond current subsistence levels. Soil erosion, a major problem in hilly Burundi, is being mitigated through terracing, ditch-digging and tree-planting. Under a 2012-2017 National Agricultural Investment Plan, marshlands are to be reclaimed for the production of rice and market-garden produce. External funding for this plan, however, is conditioned on improving national governance. Greatly depleted during the war, livestock offers many benefits to farmers, including food, income and organic fertilizer. Current widespread demand for livestock is largely unmet because of high levels of poverty among farmers, and there is an urgent need to boost access to forage, animal health and other support services to those with farm animals. Basic social and economic infrastructure in rural areas was devastated during the conflict. Increased levels of sickness and mortality caused by the dilapidation of health centres and drinking-water systems have negatively affected productivity. As urban populations grow, improvements to roads and market intelligence will help farmers meet rising demand and remain competitive with food suppliers from neighbouring countries. The flow of imported goods, on the other hand, is restricted by the fact Burundi is landlocked, and that goods travelling from the ports of Mombasa in Kenya and Dar es Salaam in Tanzania can, because of road blocks and customs posts, take two weeks to arrive in Burundi. The agriculture sector cannot grow to the point where rural poverty and the risk of renewed conflict are significantly reduced as long as most farmers only grow enough to meet household food needs. Increasing the production of cash crops as well as facilities to process produce such as bananas, fish, honey, meat and dairy products is widely acknowledged as an essential component of developing the agricultural sector. Much of the produce exported from Burundi leaves with no value added domestically and some of this is re-imported after processing elsewhere. Reducing rural poverty levels also depends on many farmers - and returning refugees - moving into peripheral economic activities and even into jobs unrelated to agriculture. This in turn depends on developing a private sector that is almost non-existent today.